Toro typically uses the Golf Industry Show to make major product introductions, so it’s no surprise that it’s happened again here at the 2019 edition. But beyond new products, Toro has another reason for a big splash this year. It was 1919 when Toro developed the first motorized fairway mower, the Toro Standard Golf Machine, for the Minikahda Club in Minneapolis, Minn. By mounting five individual reel mowers onto the front of a farm tractor, Toro began the march toward increased productivity and the end of the horse-drawn equipment era. Other historic examples of golf course industry innovations include the first flexible frame fairway mower in 1921 and the first golf utility vehicle in 1930. Toro was founded on July 10, 1914 and focused initially on engines for tractors and trucks companies, switching later to farm equipment. Mowing products came later. With a history like that, the company could spend a lot of time looking back. But the GIS really isn’t a looking-back kind of event, so this week at a press conference, Toro took industry scribes on a trip to see what’s next. We’ll break down what’s new by iron and irrigation, with room at the end for some golf industry-related announcements. Toro calls the new Greensmaster eTriFlex Series of electric riding greensmowers “revolutionary” because of their lower noise levels and environmentally friendly design. The series has no hydraulic fluid and uses all-electric components for traction, steering, lift and cutting units. The company says these new “EnergySmart” models offer noise reduction and operational cost savings, as well as enhancements in cutting performance. The two new eTriFlex models are the Greensmaster eTriFlex 3360, powered by a Kawasaki engine/generator and the Greensmaster eTriFlex 3370, powered by a lithium-ion Samsung battery set. Replacing all hydraulics with electrical components relieves worries about hydraulic leaks while offering superior cutting performance with turning radius-dependent reel and traction speed control, according to Toro. Lower noise levels of the eTriFlex facilitates earlier mowing starts/tee times without disturbing nearby residents. Users say the new engine/generator model is much quieter than traditional engine-powered models, and Toro says the lithium-ion powered model is virtually silent. Toro says the engine-powered eTriFlex with battery assist technology is up to 20 percent more fuel efficient. Operators have more control and access to advanced diagnostic information thanks to the onboard InfoCenter. This easy-to-use control panel can adjust mowing and reel speeds, calibrate lift, steering and traction and engage the “slow-in-turn” feature to reduce damage on the fringe area of the green in turnarounds. The Greensmaster eTriFlex 3360 engine-powered model will be available this summer. The lithium-ion eTriFlex battery powered model is slated to launch in 2020. All Greensmaster eTriFlex models are compatible with existing TriFlex cutting units and accessories. The all-new Greensmaster 1000 Series fixed-head walk greens mower was designed to eliminate variability in walk-mowing by integrating operators of all sizes and skill levels to work in harmony with the machine. Operator-centric features have been integrated into the new line to improve cut quality and consistency. The telescoping loop handle can be easily adjusted to comfortably accommodate operators of varying heights. A key focus during the development was to save time and money by minimizing and simplifying maintenance. It now takes only minutes to replace an entire cutting unit or engine assembly. There’s a modular design for easy repair and replacement of key components, the unit can backlap directly using transport wheels and the entire maintenance process is streamlined to maximize uptime without sacrificing performance. The line features units with an 18-inch cutting width, a 21-inch width and a 26-inch width. The Greensmaster 1000 Series is available this spring. Toro this week announced enhancements to the ProStripe 560 walk-behind mower and striping unit. They include a commercial-grade Kawasaki four-cycle engine, a trim side for trimming around edges, and a larger capacity 0.45-gallon fuel tank for longer mowing sessions. The ProStripe 560 helps achieve a striped finish in prominent areas, the company says. The ProStripe 560 has added a high-capacity 21-gallon bagger, a ribbed, two-piece roller, and a groomer brush attachment that superintendents can mount on the front of the unit to reduce lateral blade growth and loosen debris. 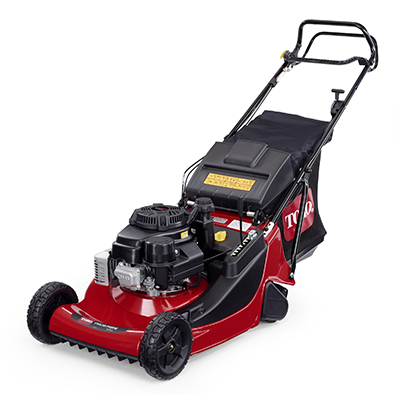 It also has an aerospace-influenced blade design that maximizes collection capabilities while optimizing aftercut appearance, according to Toro. The unit’s MatchCut functionality is beneficial when mowing at a consistent height using multiple machines across the same area. MatchCut allows easy adjustment between seven cutting heights, ranging from 0.5 inches to 2.6 inches in 0.29-inch increments and allows fine-tuning of the cutting height. The ProStripe models have a full-width ergonomic handlebar, bail arm and Blade Brake Clutch control. An integrated sail liner manages dust and other debris, drafting it away from the operator. Each unit has wash port to clean the deck and blades. The 2019 version of this model connects and powers dozens of attachments and implements with standard category 2, three-point lift. It hauls and tows heavy loads in all seasons, features exceptional maneuverability and turf-friendliness enabled by balanced design and four-wheel steering and four-wheel drive systems. Operators can save settings for quick, consistent and repeatable performance, and the unit has simple, intuitive controls allow operators of all skill levels to perform various tasks like an expert. The new Outcross is available now. This new pull-behind rotary mower connects and powers dozens of attachments and implements with standard category 2, three-point lift and hauls and tows heavy loads in all seasons. It features exceptional maneuverability and turf-friendliness enabled by balanced design and four-wheel steering and four-wheel drive systems. Operators can save settings, and controls are intuitive. The unit is available now. This outfront rotary mower is not yet available but will feature 24-hp and 37-hp models, and the deck will have high-strength steel. Rugged spindles and a bullnose bumper will deliver an excellent quality of cut, Toro says. Also featured will be a tip-up deck, adjustable seat, all-season cab, fingertip controls to tilt steering and CrossTrax all-wheel drive. To streamline maintenance efforts and prolong intervals between servicing sprinklers, Toro has launched the Infinity Razor. Toro says it will increase labor savings, enhance gameplay, improve course aesthetics and help eliminate trip hazards. 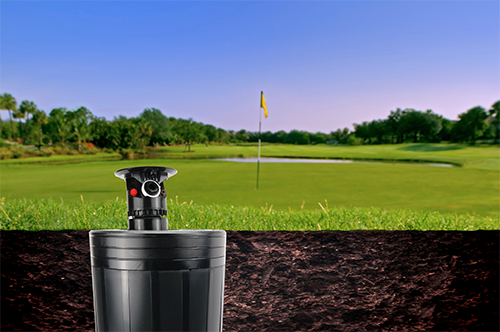 Razor inserts bring sprinkler heads flush with the playing surface and lets superintendents incrementally raise heads that have shifted below the soil’s surface. That may happen after only a couple of years, but the kits reduce the need to frequently excavate and re-level the system. The kits have three incremental inserts from which to select. The kit includes: Razor One, a 1.5-inch screw, raising the sprinkler head approximately 0.5 inches from its factory configuration of 1 inch; Razor Two, a 2-inch screw, raising the sprinkler head approximately 1 inch from factory configurations; and Razor Three, a 2.5-inch screw, raising the sprinkler head approximately 1.5 inches from factory configurations. Installation of the kit is simple, Toro says. Simply remove the cover of the Infinity sprinkler, install the Razor kit and replace the cover. The kits are compatible with all Infinity sprinkler models and can be removed and reused on other units. 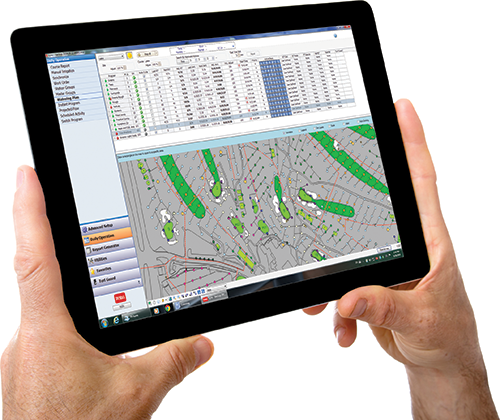 The new iteration of the Lynx 7.0 Central Control system allows improved monitoring and enhanced diagnostic capabilities, according to Toro. This is the 14th iteration of the Lynx system since its initial release in 2010. Lynx 7.0 now offers seamless compatibility with Lynx Smart Modules and can automatically identify individual smart modules. The new system also offers runtime controls to the second and measures inputs to 1/100th of an inch. 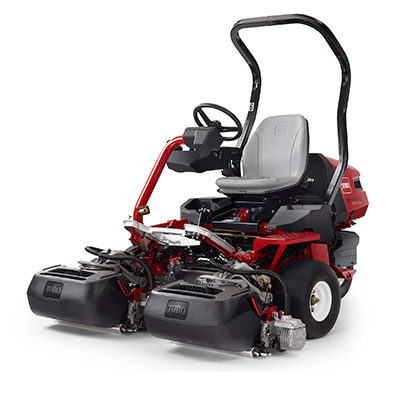 All new Toro hardware platforms support run times to the second. Lynx 7.0 diagnostics are enhanced, the company says. The system retrieves voltage and amperage data crucial to understanding the overall health of the irrigation system. End-user feedback led to interval-day control to easily designate active and non-active days, enhanced map functionality and intuitive controls. Lynx 7.0 is easily upgradeable. The 2019 OSMAC G3 satellites share a common hardware platform with Lynx Smart Satellite and offer enhanced reliability and surge protection. Station run-times can be executed to the second with wireless control from the central, hand-held radio or mobile device. It also features on-course control for stand-alone operation. maintaining access to pilot valves, LSM and wire splices. Thirteen members of the Golf Course Superintendents Association of America (GCSAA) constitute the 2019 Melrose Leadership Academy class, the members of which attend the GIS. The Melrose Leadership Academy supports GCSAA member professional development. It’s administered through the Environmental Institute for Golf (EIFG), the philanthropic organization of GCSAA. The program was established in 2012 by Ken Melrose, retired CEO and chairman of the board of Toro, and is supported by a $1 million gift to the EIFG from the Kendrick B. Melrose Family Foundation. Melrose retired as CEO in 2005 and from the chairman position in 2006. Academy members go through an application process based on financial need, volunteerism and a drive to advance their careers. The new class will participate in networking and leadership activities and will attend a variety of education seminars. Timothy J. Zurybida of Alverthorpe Park Golf, Jenkintown, Pa.
GCSAA’s philanthropic arm, the Environmental Institute for Golf (EIFG), the philanthropic arm, has again received a $50,000 grant from The Toro Foundation to support Rounds 4 Research in 2019. With this contribution, Toro has donated $350,000 to the program over the past seven years. Rounds 4 Research addresses a critical shortage in turfgrass research funding by auctioning donated rounds of golf online. 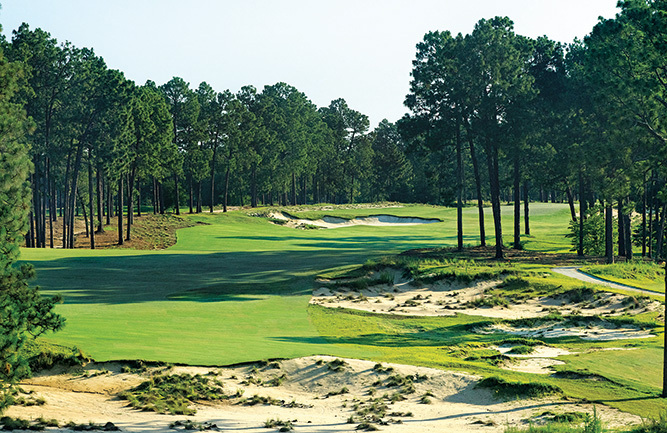 The program allows GCSAA chapters and turfgrass foundations to participate as fundraising partners and direct the proceeds from auctioned rounds to specific projects that will have the most significant impact in their local areas. Since its launch in 2012, Rounds 4 Research has raised more than $1 million. Hall-of-Famer Annika Sorenstam’s charitable organization, The Annika Foundation, has announced that Toro will become an Official Partner of the “Share My Passion” Clinic series this year. The clinics introduce girls ages 6-12 to golf while also giving them a behind-the-scenes tour of a professional event. These events include lunch, instructional stations by LPGA professionals and a golf clinic taught by Annika. In partnership with Toro, girls between the ages of six and 12 who live in the state are invited to write a letter to Annika telling her why they love golf, and why other girls should learn how to play. Annika and her team will invite authors of the 40 most compelling notes to attend a clinic headlined by the 10-time major champion and winner of 72 LPGA events. The official schedule will include stops at the Wyndham Championship in Greensboro, N.C., the U.S. Open in Pebble Beach, Calif. and the Insperity Invitational in The Woodlands, Texas. Toro will join The DICKS Sporting Goods Foundation in supporting the series, along with Fortune 500 companies such as Rolex, 3M, and Mastercard. Toro is in a new partnership with the National Golf Course Owners Association (NGCOA) Canada. The company has become NGCOA Canada’s newest Platinum Partner as well as a preferred supplier within the Golfmax Purchasing Program. 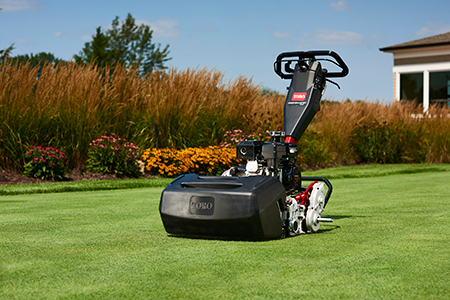 Through this partnership, Toro will provide manufacturer’s rebates on qualified purchases of new and used equipment, along with quarterly opportunity buys, exclusively to members of both the NGCOA Canada and the Canadian Golf Course Superintendents Association (CGSA). The Canadian Golf Superintendents Association (CGSA) and Toro have announced. Karen Rumohr, AAGS, assistant superintendent from the Edmonton Petroleum Golf & Country Club in Edmonton, Alberta, as the CGSA/Toro Assistant Superintendent of the Year Award winner for 2018. The award is presented to an individual who has contributed to his or her golf facility in a significant way and who has demonstrated professionalism, leadership, innovation and a team approach in their work.